It is fun to make and eat waffles but it’s even more fun when they are in the shape of keyboards! The keyboard waffle iron combines technology and taste. With this item, you can make the nerdiest breakfast ever! 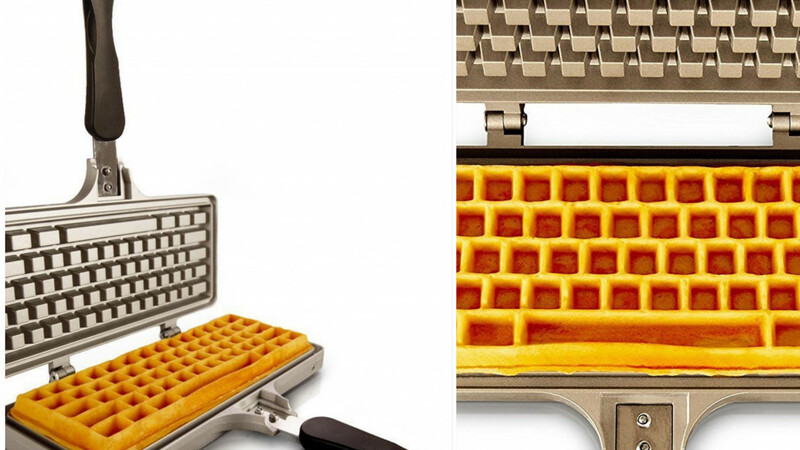 With the keyboard waffle iron, you can make QWERTY-style waffles, shaped just like your computer’s keyboard. It takes just four easy steps. First you prepare the mix while pre-heating the keyboard waffle iron over medium-high heat. Then you pour ¾ cup of batter and close and then return the iron to heat. Then you cook over medium-high heat for about 3-4 minutes on each side. 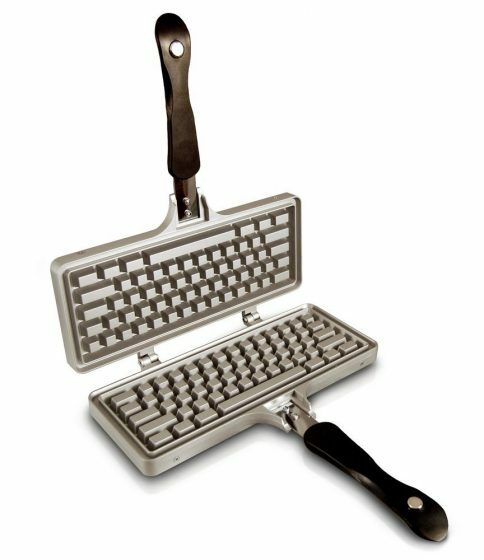 And your waffle in the shape of your beloved computer keyboard is ready to eat! The simple and sleek design of the iron will allow you to make great Belgian-style waffles just about anywhere, whether on your kitchen stove, backyard BBQ, or outdoor camping grill. The keyboard waffle iron has a die-cast and non-stick aluminum design and is easy to clean. The curved handles make it easy to flip. They are also bakelite and heat-resistant. The product is durable and strong as well as being easy to clean. With the iron's slim and wireless design, you can easily take it with you to your brunches or meetings. It also has a thin profile and is easy to store. This iron will make your cooking experience all the more fun, enabling you to make creatively-shaped waffles. It really provides an unmatched waffle making experience and is a great gift.